91.a / 101 Now, we woke up, Monday morning and we are stranded on ice. If you want to know how did we get here, you can browse the Instagram flow. Our “Journey to Multiverse” is arrived into a very cold environment. Well. One of our multiple journeys is now on ice. Some others are not. This is the incredible feature of our story. It is not one story. It is several stories at once. Many stories. 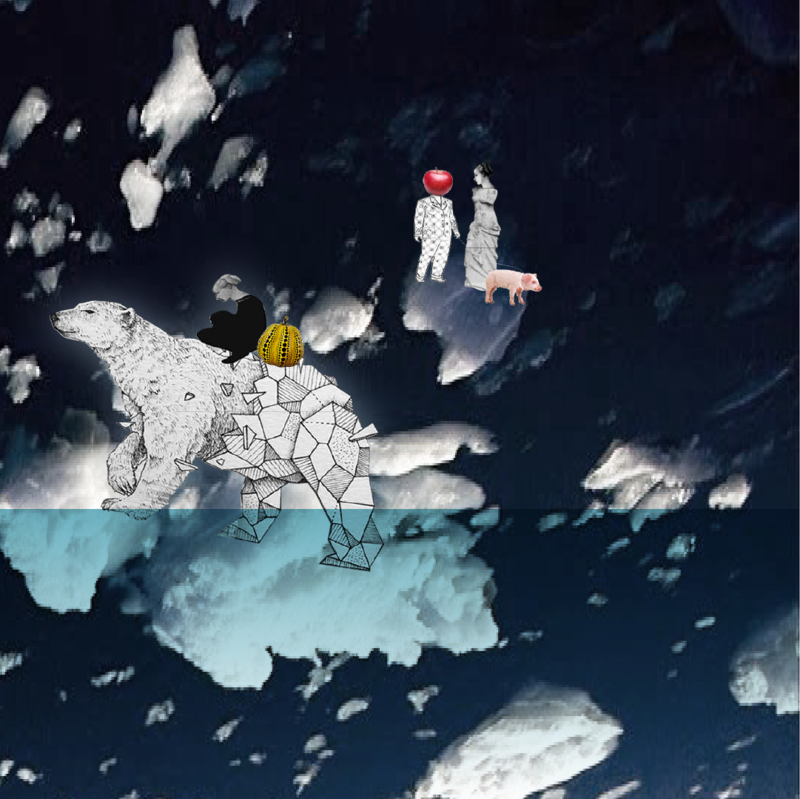 In one story, all of our characters are on some iceberg floating adrift. But, if you check: @reginastorytelling or @hermine_storytelling1o1 or @thegreenhatdesign1o1 or @barbara_m_1o1 or @claire_stories or @clareuna1o1 or @kim_r_draper1o1, you will get the same characters into a parallel story. Strange? Welcome in the world of “multiverse”. Multiple universes, running one next to each other, intersecting once in a while.